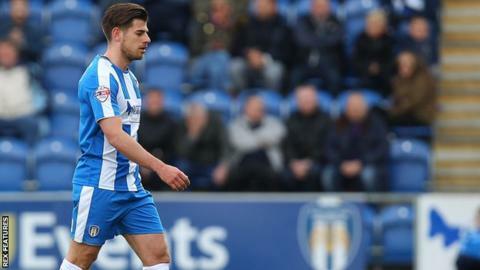 Midfielder Joe Edwards is one of nine players not to have been offered a new contract by Colchester United. The 25-year-old, who played 45 times this season, is "taking his opportunity to see what else is out there", says director of football Tony Humes. Former England full-back Nicky Shorey, ex-Crystal Palace midfielder Darren Ambrose and Marvin Sordell also depart. Tosin Olufemi, Marley Andrews, Kieran Bailey, Tyler Brampton and Elliott Parish have all been released. Drey Wright, Alex Gilbey, Femi Akinwande, Tom Eastman, Dillon Barnes, Jack Curtis and Jamie Harney have been offered new contracts by Colchester, who were relegated from League One this season.